Osteoporosis is characterised by low bone mineral density and micro-architectural deterioration of bone leading to an increased risk of low-trauma fractures, associated morbidity and mortality. This article describes the advances in imaging of osteoporosis including opportunistic identification of low bone density and vertebral fractures. Osteoporosis is a major public health issue in the UK, although trends in fracture incidence between 1990 and 2012 demonstrate no significant changes in fracture incidence in those aged 50 and over.4 However, there is an increased incidence of clinical vertebral fractures in women reported over the same period, which may be as a result from improvements in diagnosis and reporting.4 Appropriate diagnosis, therapeutic intervention and monitoring remains a key priority to reduce the burden of osteoporosis-related fractures. This paper will discuss the use of imaging in the opportunistic diagnosis, differential diagnosis and monitoring of osteoporosis. Whilst osteoporosis may be suspected from these radiographic findings, this is not a reliable way of making the diagnosis and projection radiography is not indicated for the assessment of osteoporosis in the absence of the requirement for fracture diagnosis. If a vertebral fracture is identified on a VFA scan, then radiographs are required to differentiate between non-fracture deformities such as Scheuermanns’ disease or degenerative changes, or to examine for another pathology causing the fracture, for example Paget’s disease of bone or malignancy.27 Further imaging may be required where other underlying pathology is suspected and MRI, CT, Nuclear Medicine or PET-CT may be used depending on the pathology. MRI and PET-CT in combination have been demonstrated to have high sensitivity and specificity for benign and malignant lesions in the spine, with 100% accuracy in the former.28 Figures 4a and 4b demonstrate a vertebral fracture resulting from metastatic disease. Vertebral fractures where the patient continues to have pain despite optimal pain management,29 should be investigated using clinical examination and or imaging to confirm the pain is at the site of the fracture. 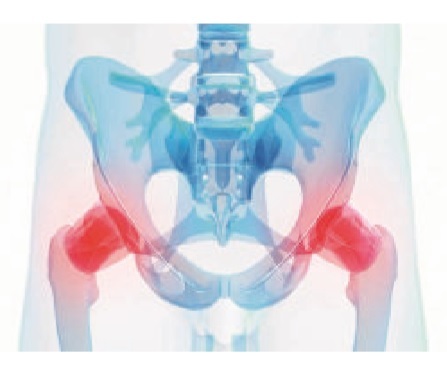 Patients with osteoporosis suffering from low back and pelvic pain should have sacral insufficiency or stress fractures considered as part of their differential diagnosis. Multiple myeloma can cause lytic lesions, which improve with chemotherapy36 but the x-ray appearance may also be one of diffuse osteopenia, mimicking osteoporosis. There should be a low index of suspicion for this condition and patients with suspected multiple myeloma may be screened by blood tests looking for anaemia, abnormal protein levels and raised plasma viscosity. Further assessment of urine for Bence Jones protein and plasma electrophoresis where diagnosis is strongly suspected. Finally, occasional anatomical anomalies are visualised on DXA scans, which may or may not impact on the BMD results. If these are unexplained, then further imaging may be required to investigate these. Further opportunistic identification of low BMD comes from CT scans using asynchronous techniques. Traditionally, CT measurements of BMD have required the patient to be scanned with a phantom within the field of view. However, asynchronous BMD measurement using CT means that a phantom can be scanned weekly and the Hounsfield numbers of bone compared to the phantom, yielding a BMD measurement for patients who are having CT scans for potentially unrelated reasons.39-41 This technology is still developing an evidence-base and it is not currently used in general clinical practice, however, it affords opportunities for the future to improve the identification of those at risk of fragility fractures. Projection radiography is the most common method for diagnosing these fractures and additional imaging is rarely required; the important thing is for radiologists and physicians to be aware of the imaging findings and to suspect the condition when patients on bisphosphonate therapy present with new hip, groin or thigh pain. Bilateral atypical femoral fractures also occur in a proportion of cases and a low threshold for imaging the contra-lateral femur in cases of incomplete or complete atypical femoral fracture is recommended.52,53 54. If there is doubt on radiographic images MRI or radionuclide imaging may be helpful. In conclusion, imaging plays an integral role in the diagnosis and management of osteoporosis, osteoporotic fractures and the complications associated with bisphosphonate treatment. Opportunistic identification of vertebral fractures and low BMD is increasing and these are likely to become standard practice in the future. Additional imaging modalities such as MRI can aid differential diagnosis where the cause of the fracture is unclear and it is important to include imaging within the patient pathway where vertebral fractures are suspected. Radiographers and radiologists reporting imaging examinations have a duty to identify and report vertebral fractures as such and highlight the need for osteoporosis assessment. Fracture liaison services provide an evidence-based provision to ensure that patients presenting with fractures are directed into osteoporosis services. Van Staa TP, Dennison EM, Leufkens HGM, Cooper C. Epidemiology of fractures in England and Wales. Bone 2001; 29(6): 517-22. Leali PT, Muresu F, Melis A, Ruggiu A, Zachos A, Doria C. Skeletal fragility definition. Clinical cases in mineral and bone metabolism : the official journal of the Italian Society of Osteoporosis, Mineral Metabolism, and Skeletal Diseases 2011; 8(2): 11-3. Arnold J, Ewings P, Handel L, et al. Fragile: Please handle with care. Radiography 2018; 24: S9-S10. van der Velde RY, Wyers CE, Curtis EM, et al. Secular trends in fracture incidence in the UK between 1990 and 2012. Osteoporosis international : a journal established as result of cooperation between the European Foundation for Osteoporosis and the National Osteoporosis Foundation of the USA 2016; 27(11): 3197-206. Gehlbach S, Saag KG, Adachi JD, et al. Previous fractures at multiple sites increase the risk for subsequent fractures: the Global Longitudinal Study of Osteoporosis in Women. Journal of bone and mineral research : the official journal of the American Society for Bone and Mineral Research 2012; 27(3): 645-53. Rabar S, Lau R, O'Flynn N, Li LL, Barry P, Guideline Dev G. Risk assessment of fragility fractures: summary of NICE guidance. Br Med J 2012; 345. Jergas MaG, H.K. Radiology of Osteoporosis. . Third Edition ed: Amsterdam; Boston: Elsevier Academic Press; 2008. .
National Institute for Health and Care Excellence (NICE). Spinal injury: assessment and initial management. NICE guideline [NG41]; 2016. NICE. CG124 Hip fracture: The management of hip fracture in adults. . NICE; 2011. Hakkarinen DK, Banh KV, Hendey GW. Magnetic resonance imaging identifies occult hip fractures missed by 64-slice computed tomography. The Journal of emergency medicine 2012; 43(2): 303-7. Jordan R, Dickenson E, Westacott D, Baraza N, Srinivasan K. A vast increase in the use of CT scans for investigating occult hip fractures. Eur J Radiol 2013; 82(8): e356-9. Physicians RCo. Fracture Liaison Service Database (FLS-DB) clinical audit. FLS forward: Idnetifying high-quality care in the NHS for secondary fracture prevention. London: Royal College of Physicians, 2017. Blake GM, Fogelman I. The role of DXA bone density scans in the diagnosis and treatment of osteoporosis. Postgrad Med J 2007; 83(982): 509-17. Kanis JA, McCloskey EV, Johansson H, et al. European guidance for the diagnosis and management of osteoporosis in postmenopausal women. Osteoporosis International 2013; 24(1): 23-57. Turner DA, Khioe RFS, Shepstone L, et al. The Cost-Effectiveness of Screening in the Community to Reduce Osteoporotic Fractures in Older Women in the UK: Economic Evaluation of the SCOOP Study. Journal of bone and mineral research : the official journal of the American Society for Bone and Mineral Research 2018; 33(5): 845-51. Hippisley-Cox J, Coupland C. Derivation and validation of updated QFracture algorithm to predict risk of osteoporotic fracture in primary care in the United Kingdom: prospective open cohort study. BMJ (Clinical research ed) 2012; 344: e3427. Premaor M, Parker RA, Cummings S, et al. Predictive Value of FRAX for Fracture in Obese Older Women. Journal of Bone and Mineral Research 2013; 28(1): 188-95. Hillier TA, Cauley JA, Rizzo JH, et al. WHO Absolute Fracture Risk Models (FRAX): Do Clinical Risk Factors Improve Fracture Prediction in Older Women Without Osteoporosis? Journal of Bone and Mineral Research 2011; 26(8): 1774-82. National Institute for Health and Care Excellence (NICE). Osteoporosis: assessing the risk of fragility fracture. Clinical guideline [CG146]; 2012. Edwards MH, Jameson K, Denison H, et al. Clinical risk factors, bone density and fall history in the prediction of incident fracture among men and women. Bone 2013; 52(2): 541-7. Diacinti D, Guglielmi G. Vertebral morphometry. Radiologic clinics of North America 2010; 48(3): 561-75. Kuet KP, Charlesworth D, Peel NFA. Vertebral fracture assessment scans enhance targeting of investigations and treatment within a fracture risk assessment pathway. Osteoporosis International 2013; 24(3): 1007-14. Diacinti D, Guglielmi G, Pisani D, et al. Vertebral morphometry by dual-energy X-ray absorptiometry (DXA) for osteoporotic vertebral fractures assessment (VFA). Radiol Med 2012; 117(8): 1374-85. Puisto V, Heliovaara M, Impivaara O, et al. Severity of vertebral fracture and risk of hip fracture: a nested case-control study. Osteoporosis international : a journal established as result of cooperation between the European Foundation for Osteoporosis and the National Osteoporosis Foundation of the USA 2011; 22(1): 63-8.
de Klerk G, Hegeman JH, Bronkhorst P, van der Palen J, van der Velde D, Duis HJ. The (a)-Symptomatic Vertebral Fracture: A Frequently Discovered Entity With Clinical Relevance in Fracture Patients Screened on Osteoporosis. Geriatric orthopaedic surgery & rehabilitation 2012; 3(2): 74-8. Mrgan M, Mohammed A, Gram J. Combined Vertebral Assessment and Bone Densitometry Increases the Prevalence and Severity of Osteoporosis in Patients Referred to DXA Scanning. J Clin Densitom 2013. Schousboe JT, Vokes T, Broy SB, et al. Dual-energy X-ray absorptiometry technical issues: The 2007 ISCD Official Positions. J Clin Densitom 2008; 11(1): 92-108. Aggarwal A, Salunke P, Shekhar BR, et al. The role of magnetic resonance imaging and positron emission tomography-computed tomography combined in differentiating benign from malignant lesions contributing to vertebral compression fractures. Surgical neurology international 2013; 4(Suppl 5): S323-6. NICE. TA279 Percutaneous vertebroplasty and percutaneous balloon kyphoplasty for treating osteoporotic vertebral compression fractures NICE; 2013. Graziotti PJ, Graziotti CR, Sangster AM. Significance of preoperative MRI in establishing levels of augmentation for percutaneous vertebroplasty. Journal of pain research 2013; 6: 359-65. Buchbinder R, Johnston RV, Rischin KJ, et al. Percutaneous vertebroplasty for osteoporotic vertebral compression fracture. The Cochrane database of systematic reviews 2018; 11: Cd006349. Longhino V, Bonora C, Sansone V. The management of sacral stress fractures: current concepts. Clin Cases Miner Bone Metab 2011; 8(3): 19-23. Mavroeidi A, Aucott L, Black AJ, Fraser WD, Reid DM, Macdonald HM. Seasonal variation in 25(OH)D at Aberdeen (57 degrees N) and bone health indicators--could holidays in the sun and cod liver oil supplements alleviate deficiency? PloS one 2013; 8(1): e53381. Reginato AJ, Falasca GF, Pappu R, McKnight B, Agha A. Musculoskeletal manifestations of osteomalacia: report of 26 cases and literature review. Seminars in arthritis and rheumatism 1999; 28(5): 287-304. Zhao Y, Liu Y, Zheng Y. Osteoporosis and related factors in older females with skeletal pain or numbness: a retrospective study in East China. The Journal of international medical research 2013; 41(3): 859-66. Roux S, Bergot C, Fermand JP, Frija J, Brouet JC, Mariette X. Evaluation of bone mineral density and fat-lean distribution in patients with multiple myeloma in sustained remission. Journal of bone and mineral research : the official journal of the American Society for Bone and Mineral Research 2003; 18(2): 231-6. Adams JE. Opportunistic Identification of Vertebral Fractures. J Clin Densitom 2016; 19(1): 54-62. Adams J CEM, Clunie G, Griffin J, Groves C, Javaid K, Jones T, Layland S, Pearson A, Peel N, Sahota O, Salem K, Sayer J, Stephenson S, Wakefield V. Clinical Guidance for the Effective Identification of Vertebral Fractures. National Osteoporosis Society: National Osteoporosis Society; 2017. Pickhardt PJ, Bodeen G, Brett A, Brown JK, Binkley N. Comparison of femoral neck BMD evaluation obtained using Lunar DXA and QCT with asynchronous calibration from CT colonography. J Clin Densitom 2015; 18(1): 5-12. Therkildsen J, Thygesen J, Winther S, et al. Vertebral Bone Mineral Density Measured by Quantitative Computed Tomography With and Without a Calibration Phantom: A Comparison Between 2 Different Software Solutions. J Clin Densitom 2018; 21(3): 367-74. Lee SJ, Anderson PA, Pickhardt PJ. Predicting Future Hip Fractures on Routine Abdominal CT Using Opportunistic Osteoporosis Screening Measures: A Matched Case-Control Study. AJR American journal of roentgenology 2017; 209(2): 395-402. Compston J, Bowring C, Cooper A, et al. Diagnosis and management of osteoporosis in postmenopausal women and older men in the UK: National Osteoporosis Guideline Group (NOGG) update 2013. Maturitas 2013; 75(4): 392-6. National Institute for Health and Care Excellence (NICE). Bisphosphonates for treating osteoporosis. Technology appraisal guidance [TA464]; 2017. Olsen KR, Hansen C, Abrahamsen B. Association between refill compliance to oral bisphosphonate treatment, incident fractures, and health care costs-an analysis using national health databases. Osteoporosis international : a journal established as result of cooperation between the European Foundation for Osteoporosis and the National Osteoporosis Foundation of the USA 2013. Vieira HP, Leite IA, Araujo Sampaio TM, et al. Bisphosphonates adherence for treatment of osteoporosis. Int Arch Med 2013; 6(1): 24. Knapp KM, Welsman JR, Hopkins SJ, Fogelman I, Blake GM. Obesity increases precision errors in dual-energy x-ray absorptiometry measurements. Journal of clinical densitometry : the official journal of the International Society for Clinical Densitometry 2012; 15(3): 315-9. Wheater G, Elshahaly M, Tuck SP, Datta HK, van Laar JM. The clinical utility of bone marker measurements in osteoporosis. Journal of translational medicine 2013; 11(1): 201. Chiha M, Myers LE, Ball CA, Sinacore JM, Camacho PM. Long Term Follow Up of Patients on Drug Holiday from Bisphosphonates: Real World Setting. Endocrine practice : official journal of the American College of Endocrinology and the American Association of Clinical Endocrinologists 2013: 1-16. Murad MH, Drake MT, Mullan RJ, et al. Clinical review. Comparative effectiveness of drug treatments to prevent fragility fractures: a systematic review and network meta-analysis. The Journal of clinical endocrinology and metabolism 2012; 97(6): 1871-80. Cakmak S, Mahirogullari M, Keklikci K, Sari E, Erdik B, Rodop O. Bilateral low-energy sequential femoral shaft fractures in patients on long-term bisphosphonate therapy. Acta orthopaedica et traumatologica turcica 2013; 47(3): 162-72. Thompson RN, Phillips JR, McCauley SH, Elliott JR, Moran CG. Atypical femoral fractures and bisphosphonate treatment: experience in two large United Kingdom teaching hospitals. The Journal of bone and joint surgery British volume 2012; 94(3): 385-90. LeBlanc ES, Rosales AG, Black DM, et al. Evaluating Atypical Features of Femur Fractures: How Change in Radiological Criteria Influenced Incidence and Demography of Atypical Femur Fractures in a Community Setting. Journal of bone and mineral research : the official journal of the American Society for Bone and Mineral Research 2017; 32(11): 2304-14. Leclerc JT, Michou L, Vaillancourt F, Pelet S, Simonyan D, Belzile EL. Prevalence and Characteristics of Atypical Periprosthetic Femoral Fractures. Journal of bone and mineral research : the official journal of the American Society for Bone and Mineral Research 2018. Black DM, Abrahamsen B, Bouxsein ML, Einhorn T, Napoli N. Atypical Femur Fractures - Review of epidemiology, relationship to bisphosphonates, prevention and clinical management. Endocrine reviews 2018. Hinchy NV, Jayaprakash V, Rossitto RA, et al. Osteonecrosis of the jaw - Prevention and treatment strategies for oral health professionals. Oral oncology 2013; 49(9): 878-86. Vassiliou V, Tselis N, Kardamakis D. Osteonecrosis of the jaws: clinicopathologic and radiologic characteristics, preventive and therapeutic strategies. Strahlentherapie und Onkologie : Organ der Deutschen Rontgengesellschaft [et al] 2010; 186(7): 367-73.